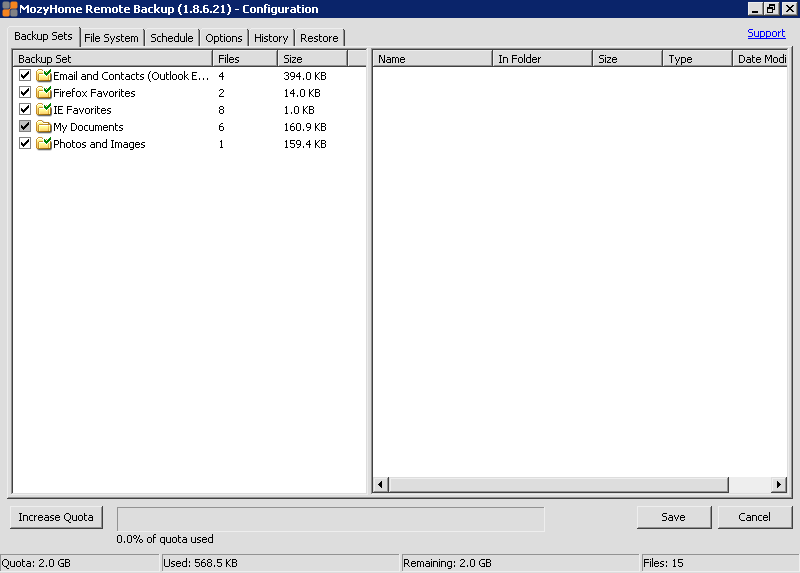 The files system should be NTFS. First step consists of signing up for the MozyHome Remote Backup from the sign in window as shown in Fig.1 below. 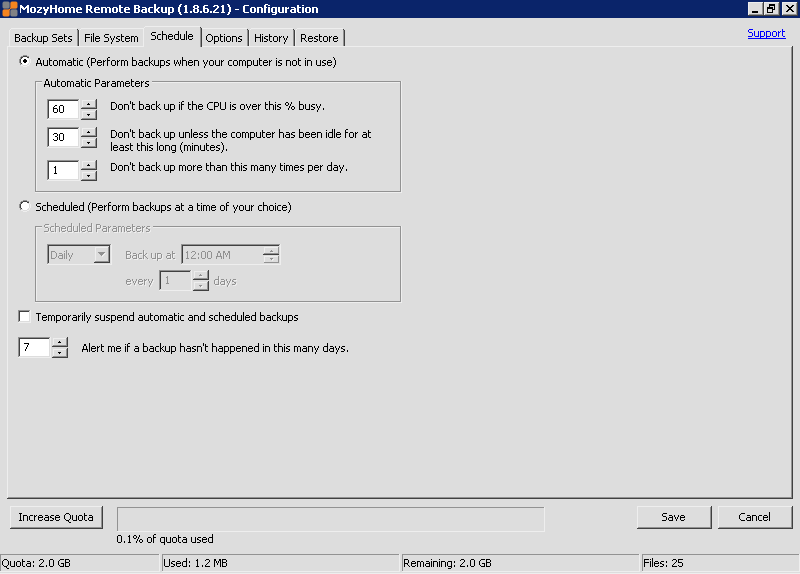 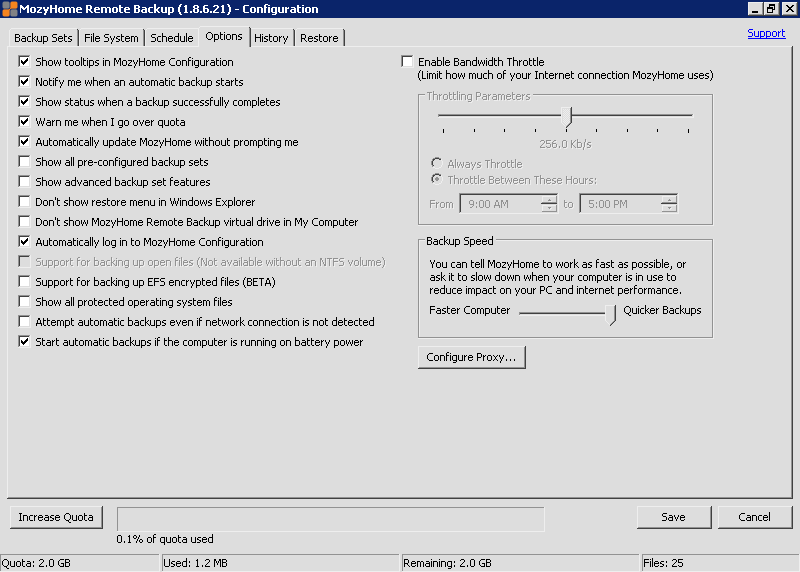 After signing up for the first time you will have to configure all your backup process by going to the Configure option available as shown in Fig.2 below. 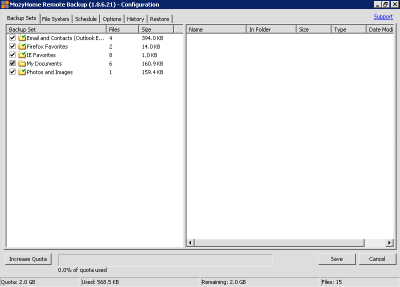 In the Configure wizard you have to set the whole backup process. 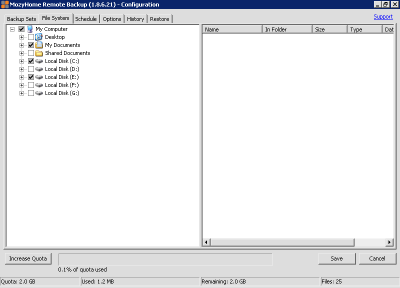 In the first Backup Sets tab you have to select the data which you are going to backup. 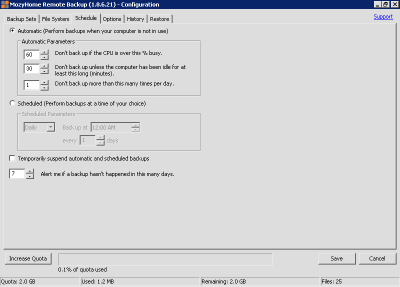 Using the Schedule tab you can give a schedule to the backup process you are going to set. 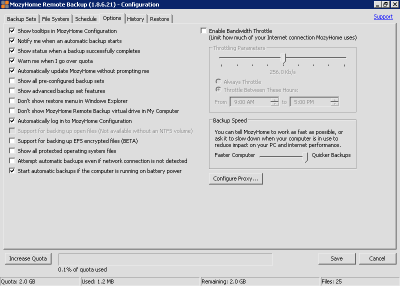 Options tab consists of different options which you can select as per your requirement. 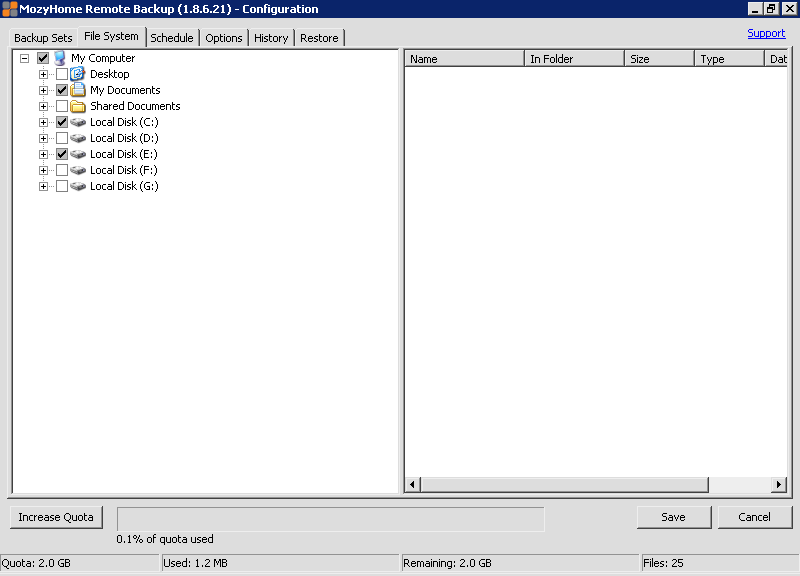 History tab consists of the whole history of the backup process set by you. 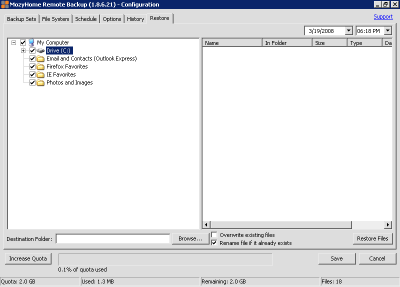 All the tabs discussed above are shown in Fig.3, Fig.4, Fig.5, Fig.6, Fig,.7 below. 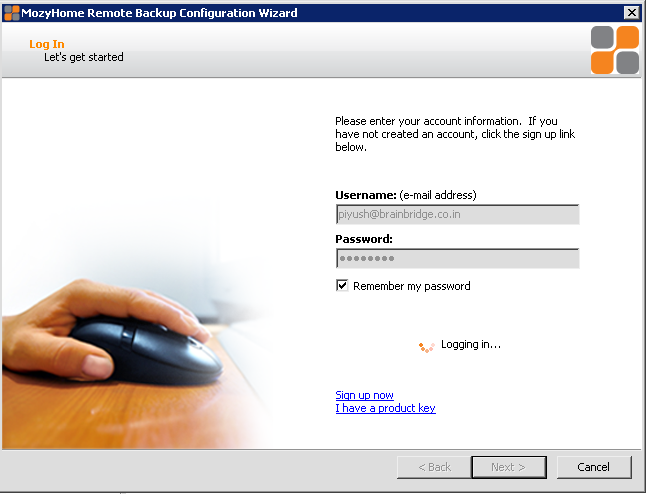 For restoring the data go to the Restore tab and select the files you want to restore and click the restore command button in the window shown in Fig.8 below. 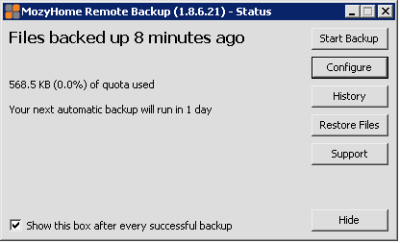 You will see the procedure discussed above to be lengthy but this you have to set just for one time and then just relax and don’t worry for the security of your data, let MozyHome Remote Backup worry about your data then.